Obituary – Chopp, Carolyn Marie « Perry High School Alumni Association, Inc.
﻿National Jr. Honor Society 47-49, National Jr. Honor Society President 4849, Perryscope Staff 51-52, Office Staff 49-52, Library Staff 51-52, Girls’ State 51, F. T. A. 49-52, F. T. A. Secretary 50-51, F. T. A. Vice-President 51-52, National Honor Society 50-51, National Honor Society President 51-52. 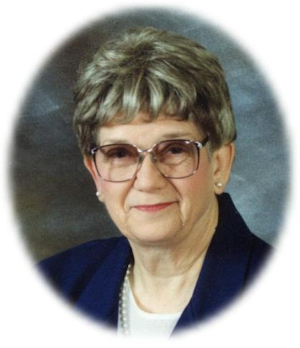 Carolyn Marie Chopp, 77, of Perry, Oklahoma, was the daughter of Joseph Elmer and Marie Louise (Busse) Chopp. She was born on July 23, 1934 in Perry, Oklahoma and died April 15, 2012 at the Green Valley Nursing Home in Perry. Carolyn was a 1952 graduate of Perry High School. She held a Bachelors degree and a Masters degree in Business Education from Oklahoma State University in Stillwater, Oklahoma. 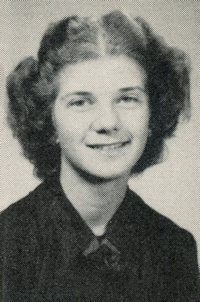 She was a school secretary at Perry High School from 1952 to September 1958 when she enrolled at OSU. After completing the requirements for the teaching certificate, Carolyn taught at Garber High school in Garber, Oklahoma and at Garden City High School is Garden City, Kansas. In 1964-65 she taught at Kansas State College, Pittsburg, Kansas. In 1965 she began teaching in the Business Division of Northern Oklahoma College in Tonkawa, Oklahoma where she taught until retirement in 1986. Carolyn was charter secretary for the Perry High School Alumni Association and had a lifetime membership. She was a lifetime member in the Cherokee Strip Historical Society. Carolyn also held memberships in various teaching groups and was a member of the Christ Lutheran Church in Perry. Funeral services will be 10:00 a.m. Thursday, April 19 2012 at the Christ Lutheran Church in Perry, Oklahoma. Rev. William Metz will officiate. Interment will be at Grace Hill Cemetery, Perry, Oklahoma. Services are under the direction of Brown-Dugger Funeral Home. Memorials may be made to Christ Lutheran Church or the Perry High School Alumni Scholarship in care of Brown-Dugger Funeral Home, 1010 N. 7th Street, Perry Oklahoma 73077. Carolyn is survived by one nephew, Kelly Chopp of Garden City, Kansas; two nieces, Korry Chop of Lawrence, Kansas and Kerry Gwynn of Kearney, Nebraska; one great niece, Samantha Gwynn of Kearney, Nebraska; one great nephew, Cameron Gwynn of Kearney, Nebraska and several cousins and many friends. She was preceded in death by her parents, Joseph Elmer and Marie Louise Chopp; her brother A.J. Chopp and his wife Phyllis.